At the turn of the twentieth century, the Arts and Crafts Movement delivered an antidote to the perceived dehumanization of the Industrial Revolution. In Arts and Crafts homes, natural materials and simple designs provided a serene and artful oasis, worlds away from the mass-produced, impersonal world of industry and commerce. So when David and Mary Gamble of Cincinnati - heirs to the Procter & Gamble fortune - sought to build a summer home in Pasadena, they bypassed the mansions of "Millionaire's Row" and found a quieter neighborhood and a less grandiose, more nature-friendly building approach. They hired architects Charles and Henry Greene, two brothers from Cincinnati. The Greenes had learned woodworking, metalworking, and tool making in hands-on courses at Washington University's Manual Training School in St. Louis, prior to architecture studies at Massachusetts Institute of Technology. In 1893, as they traveled westward to California, the brothers visited Chicago and the World's Columbian Exhibition, where they encountered Japanese architecture and art. All of these aesthetic influences came together in the Greenes' design for the Gambles' summer home. In the Gamble House, they created a sort of "ultimate bungalow." The spacious home incorporates all of the elements of the Arts and Crafts aesthetic: craftsmanship, simplicity, a love of nature, and a unified approach to furnishings, decoration, and building elements. The Craftsman bungalow appealed to a middle class hungry for honesty, purity, and nature. The bungalow became a dominant housing style in the coming decades - if not quite on the scale of the Gamble House, then in its spirit. 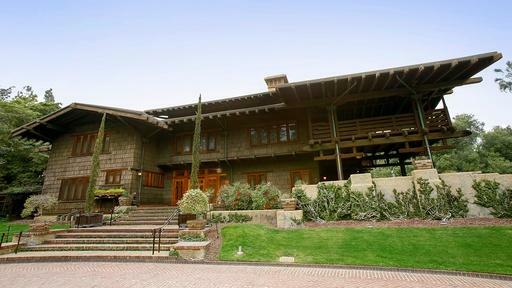 The Gamble House remained in the Gamble family until the 1960s, when it was deeded to the City of Pasadena. The home is open to the public for tours and education. 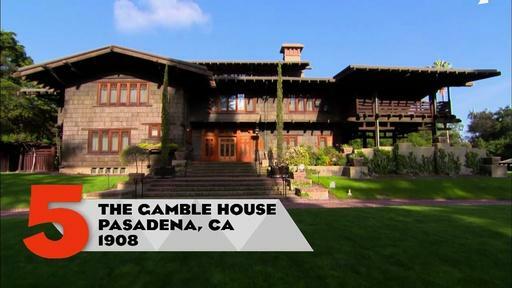 Explore the official Gamble House site. Browse the Greene & Greene virtual archives. Read a biography of Green & Greene. Plan a visit to the Gamble House. The Gamble House responded to its owners’ desire for a warm, handcrafted aesthetic in harmony with nature–a direct rebuttal to mass production and the Industrial Revolution.